There are times when a pest or wildlife problem is so out of hand that you need to call in for outside assistance. It is important not to get yourself in over your head when it comes to problems with wildlife. Wild animals can pose dangers to human safety, due to their erratic behavior and diseases that they can carry, such as rabies. Luckily, it is easy to contact outside help for problems related to pests and wildlife. In some cases, calling animal control is required to remove wildlife. They are used to dealing with all sorts of different animal related problems. Animal control professionals have a great deal of experience and training. In addition, some pest control services can provide humane removal of different types of animals. Of course, not all pest control companies use humane, non-harmful methods. However, there are some pest control companies around that use this approach to control pest problems. If you are dealing with a problem that involves dangerous types of wildlife, it is best to call in animal control. More threatening types of animals, such as foxes, raccoons, bobcats, and other predator species can be quite dangerous to deal with. Attempting to trap and remove them yourself can be quite risky. This is especially true if the animal is engaging in erratic or unusual behavior. If you notice an animal that is exhibiting erratic or bizarre behavior, such as a nocturnal animal being active during the day, do not go near the animal yourself. Instead, call animal control to have the animal safely removed from your property. When animal control comes to deal with the problem, they are trained to not harm the wildlife. This is even the case when an animal has become dangerous. They can trap the animals and relocate them to an area where they no longer are a nuisance or threat. Often times, they simply use traps to catch a problem animal. However, they can also employ other methods, such as using nets to catch animals. 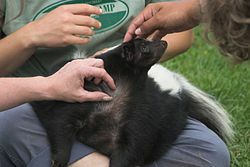 In addition, they sometimes use means that an ordinary citizen would not have access to, such as tranquilizing an animal for removal. These types of methods are often employed when an animal appears to be exceptionally threatening. Some pest control companies specialize in humane animal removal. In fact, there are even pest control companies that do humane removal of rodents. You can even get vermin rodents, such as rats, removed humanely. Some of them are known as reputable providers of humane rodent removal. They relocate rodents to areas where they will not become pests in homes, and they never would return to your home after relocation. They are removed from the area of your home by a long enough distance, and they would not know their way back. 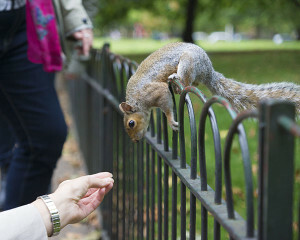 Wildlife can turn into problems for residents of the USA. However, they do not have to bother people. You can effectively deal with problems of infestation and problematic wildlife. There are different ways that you can deal with problematic animals. It important to realize that problematic animals do not have to be killed in order to no longer pose a problem. There are different, better ways of handling the problem. They can be dealt with in ways that do not cause any harm to them. Some of these methods can even do the animals good in the end. It is unhealthy for animals to become dependent on human created environments, and it is often very good for them to leave. They are released into their natural environment, and they become a part of the ecosystem. This can help to keep the ecosystem in balance, and this can help to prevent infestations of other people’s homes. Humanely dealing with a wildlife problem is also good for the conscience of humans. When you deal with pests humanely, you do not have to deal with the guilt that comes with killing an animal. Hopefully, humane means of wildlife removal will become more popular. It will be good for animals, the environment, and also for humans.